English, Hardback, 16x23.5 cm, 222 pages, rare b&w photos - Few records are as evocative of the rhythm and blues scene of the early 1960s as 'You Better Move On' by Arthur Alexander - even though it took The Rolling Stones to give the number its widespread appeal. 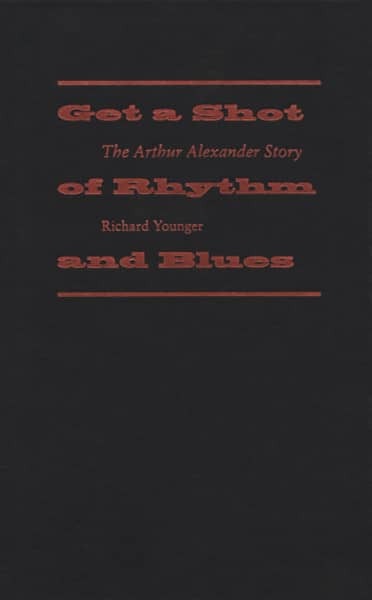 For a brief spell Arthur Alexander was the defining influence in popular music. An earlier release, 'Anna (Go to Him)' had been picked up by The Beatles and there wasn't a band in the country that didn't have 'A Shot Of Rhythm And Blues' - The 'B'-side to 'You Better Move On' - in its repertoire. But it didn't end there. 'You Better Move On' put the Muscle Shoals studios on the map, it was their first national hit and signalled the arrival of the Southern Soul Sound - to be echoed by Wilson Pickett, Percy Sledge, Otis Reddings and a whole lot more. Musican, writer and life-long fan Richard Younger tells the story - and what's more tells it so effectively and compellingly that long before putting the book down the urge is on to get hold of the rest of Arthur's recordings. Of course there are all the usual tales of alcohol and drug abuse and damaged relationships which characterised the slide in Arthur's career and a crop of bizarre incidents such as being arrested for vagrancy and bringing a Gospel meeting to an abrupt end by ripping down the tent. but things never get so bad as to suggest that Arthur's talent will not eventually come shining through - and it is this conviction which sustains the narrative. This is a book with a (sort of) happy ending. In the early '90s Arthur was persuaded to do a few local shows. One thing led to another and in 1993 he recorded the highly acclaimed album 'Lonly Just Like Me' for Elektra. He died in hospital a month or so later - surrounded by family and friends. Kundenbewertungen für "Richard Younger: Get A Shot Of...The Story"